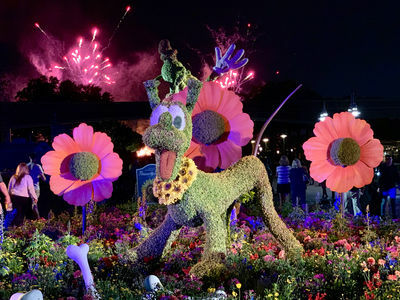 Writer's note: As our regular readers know, our MousePlanet.com weekly Walt Disney World Resort Update usually is published on Tuesdays (holidays and scheduling conflicts sometimes change that by a day in either direction). Last week, Disney shared most of its latest news about Walt Disney World Resort on Tuesday, after we already published the Update. 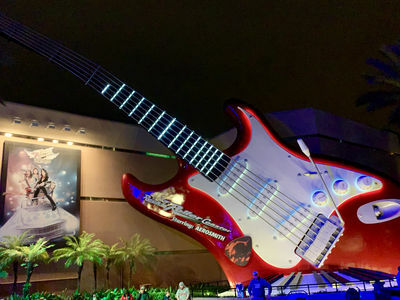 Nothing announced by Disney last week was at a level to warrant a "Breaking News" type Update, but if you follow along on our Social Media channels or our Newsletter, you may have seen quite a few of the news items in this Update over the past week. In any event, as always, we try to provide additional insights along the way here that the limitations of Social Media do not permit. 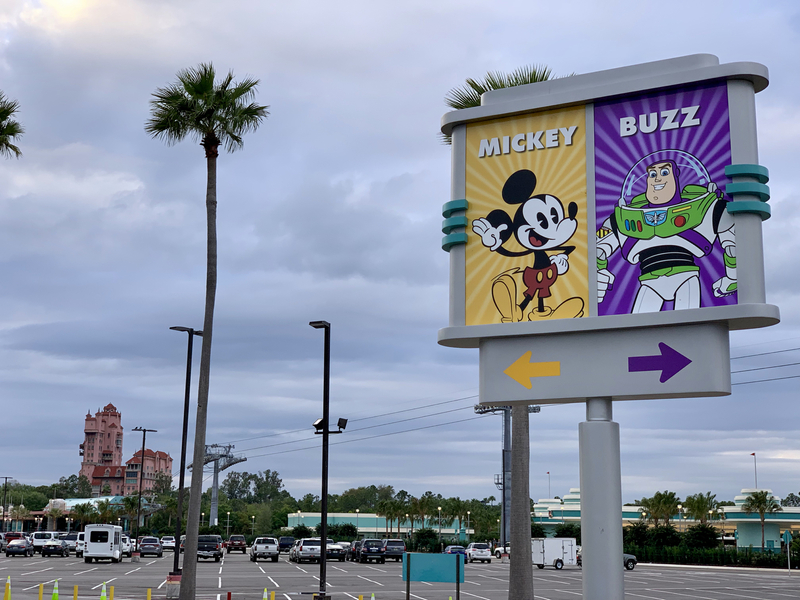 The biggest news for The Walt Disney Company thus far in 2019 was also announced last Tuesday: Disney's acquisition of 21st Century Fox became effective at 12:02 a.m. last Wednesday, March 20, 2019. That acquisition brings a huge volume of intellectual property, additional production businesses, and distribution channels into The Walt Disney Company. No doubt, the acquisition will have ripples in Disney Parks. Of course, nothing has been announced yet, but, at minimum, Disney already gained some increased control over intellectual property in (or, at least, income from) Pandora-The World of Avatar at Disney's Animal Kingdom, where themed merchandise displays a Twentieth Centry Fox copyright notice because of the licensing deal with James Cameron, his production company (Lightstorm Entertainment), and the film Avatar's distributor/copyright owner, 20th Century Fox (one of the businesses that Disney now owns). 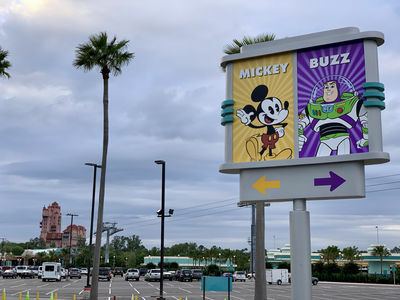 Disney's acquisitions of Pixar, Marvel, and Lucasfilm Ltd. have all yielded and continue to result in additions to the parks and resorts. Indeed, the 14-acre Star Wars: Galaxy's Edge expansions opening on both coasts this year are the biggest examples of that to date, and we have not even had a chance to experience one of them yet! Of course, as advertised last week, MousePlanet's CEO and Disneyland Resort Update writer, Adrienne Vincent-Phoenix, joined me for my most recent podcast chat with National Radio Hall of Fame Inductee, Garry Meier, to discuss the upcoming opening of the new land. You can now download and stream Episode 461 of The Garry Meier Show at your convenience below; our segment begins at 21:20 and is appropriate for all audiences. 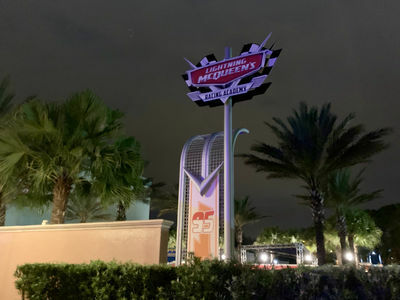 The newest entertainment offering at Disney's Hollywood Studios, Lightning McQueen's Racing Academy, opens this Sunday, March 31, in Sunset Showcase next to Rock 'n' Roller Coaster Starring Aerosmith. 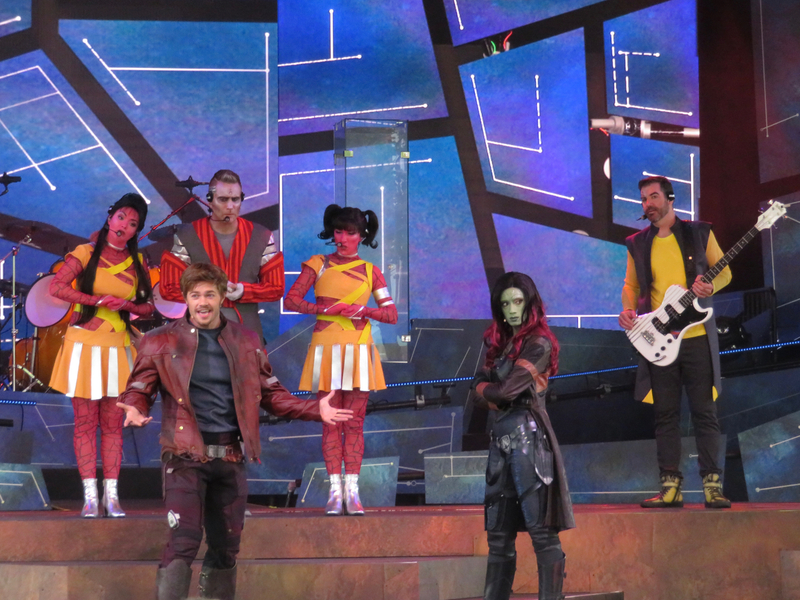 Over the past several weeks, Disney has released bits of information about this experience at the park that will combine aspects of a show, a meet and greet, and, as we learned this week, a dance party named "DJ's Ready! Set! Party Time!" featuring Lightning McQueen's Pit Crew arriving in the courtyard outside Sunset Showcase with DJ, "the ultimate party on wheels," leading Cars-inspired dances and games. Sunset Showcase's signs (near Rock'n'Roller Coaster) now promote the upcoming Lightning McQueen's Racing Academy which is scheduled to open on Sunday. File photo by Alan S. Dalinka. DJ's Ready! Set! Party Time! 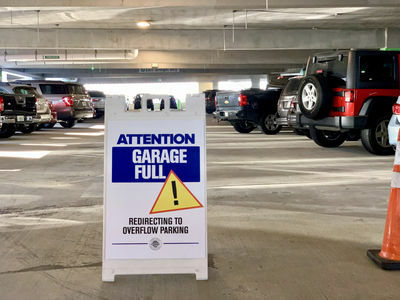 will occur several times daily in the Sunset Showcase courtyard at Disney's Hollywood Studios starting on March 31. Video ©Disney. 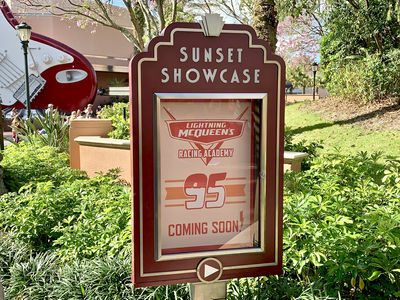 A few weeks ago, Disney Parks Blog revealed that the show inside Sunset Showcase will include Lightning McQueen showing off "his brand-new, state-of-the-art racing simulator and its wraparound screen." Tow Mater, Cruz Ramirez, and the rest of the gang from radiator Springs will appear too. As we reported last week, Disney Parks Blog then shared news that John Ratzenberger, the star behind the voice of Mack the truck in each of the Cars movies (and, indeed, at least one character in every Disney-Pixar feature film so far), has again voiced Mack for the new attraction. 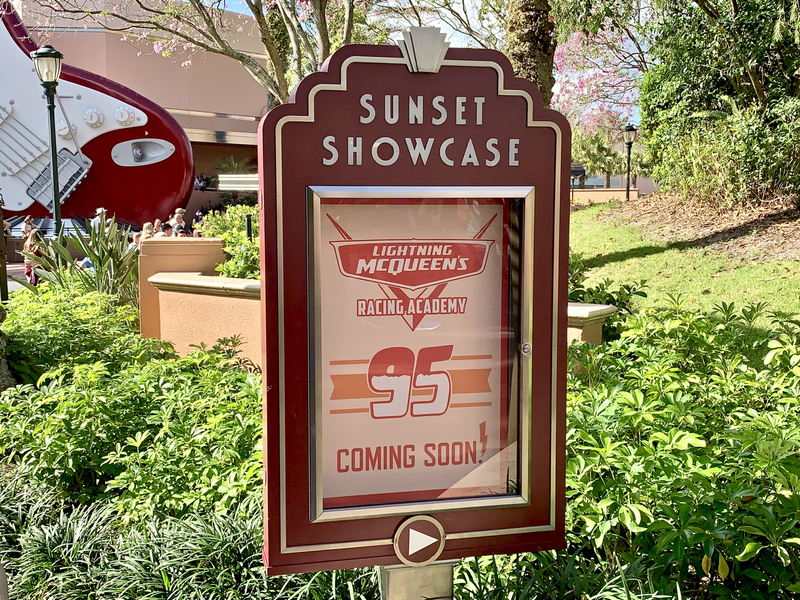 Mack and Sally Carrera will welcome rookie racers entering the Sunset Showcase theater and test your knowledge of Lightning McQueen as you take your seat before showtime. After the show, guests will have a photo opportunity with Cruz Ramirez outside. This week, Disney Parks Blog shared that the "fun and excitement extend beyond the show into the courtyard outside Sunset Showcase, with special entertainment, photo ops, and more." Disney says Cruz Ramirez "is stopping by to meet and take photos with all her fans." 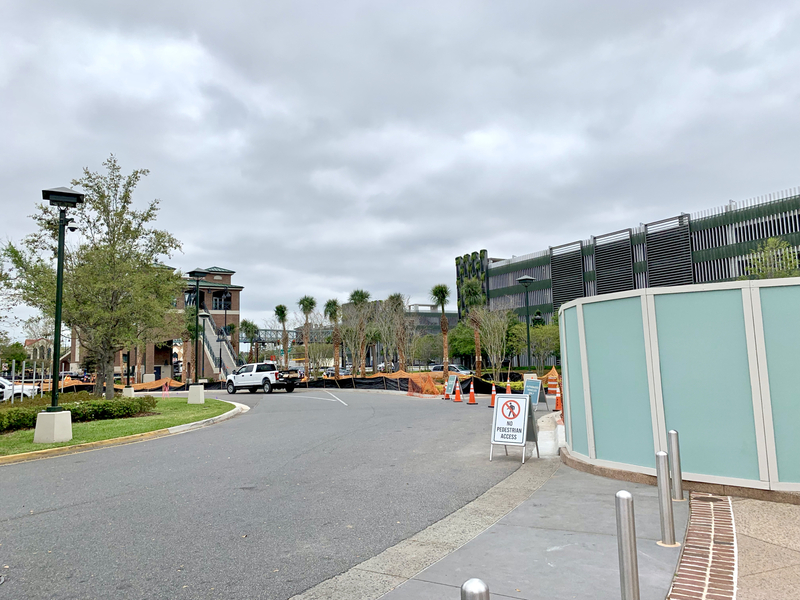 From the neighboring queue for Rock 'n' Roller Coaster just last week we could already see the top of the photo op for Cruz that previously was located in Pixar Place near the former exit of Toy Story Mania. 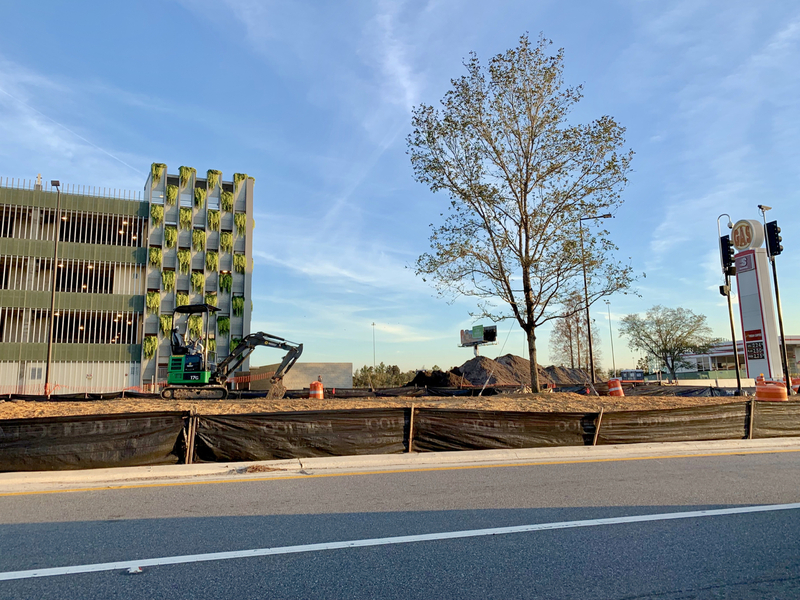 Signage for the new show rises above the hedge wall between Rock 'n' Roller Coaster and the Sunset Showcase. Photo by Alan S. Dalinka. Coverage note: While we will attempt to get over to the park on the show's opening day, Sunday, Disney has invited media to view the attraction on Wednesday, April 3, the day after our next weekly Walt Disney World Resort Update. 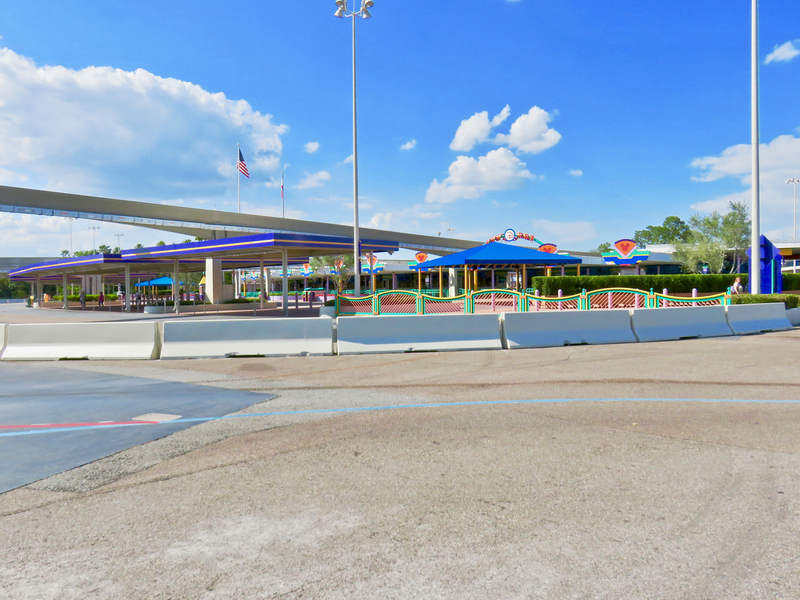 Disney's Walk Around the World Bricks are being retired in the coming months, starting with the areas at the entrance of Magic Kingdom and at the Transportation and Ticket Center. 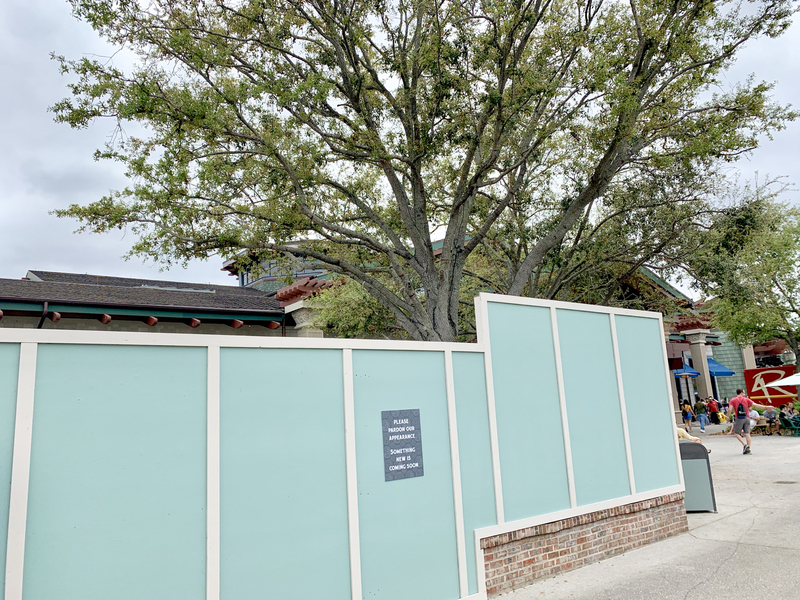 Bricks along the pathway from the Transportation and Ticket Center to Disney's Grand Floridian Resort and Spa are expected to be removed in the future as well. Starting around the time of the Resort's 25th Anniversary back in the mid-1990's, guests could "sponsor" a brick with a customizable message to be displayed on a pathway that, at one time, Disney had said would completely ring the Seven Seas Lagoon. 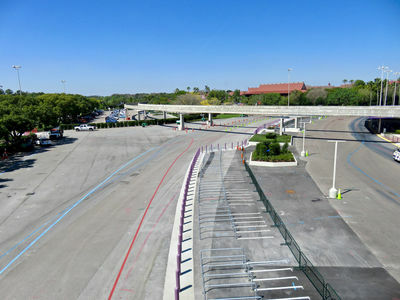 While the "Walk" was never connected between Disney's Grand Floridian and Magic Kingdom at the northwestern corner of the Lagoon, and no path was ever built connecting Disney's Contemporary Resort with the TTC along its southeastern shore, Disney did honor its commitment that the bricks would be displayed until at least 2011. Commemorative bricks are available for purchase. Image ©Disney. 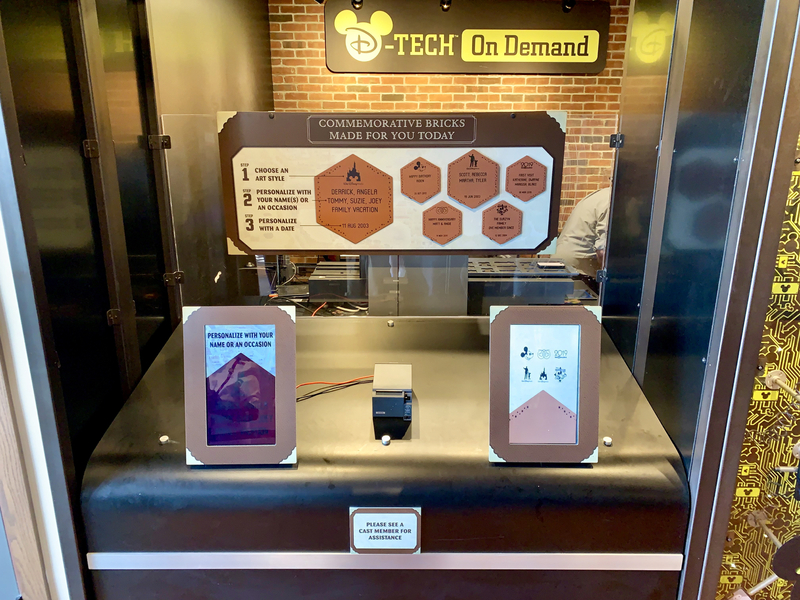 In person: visit Guest Relations at City Hall at Magic Kingdom or Disney Springs to verify original sponsorship by sharing the name and hometown of the original brick sponsor. 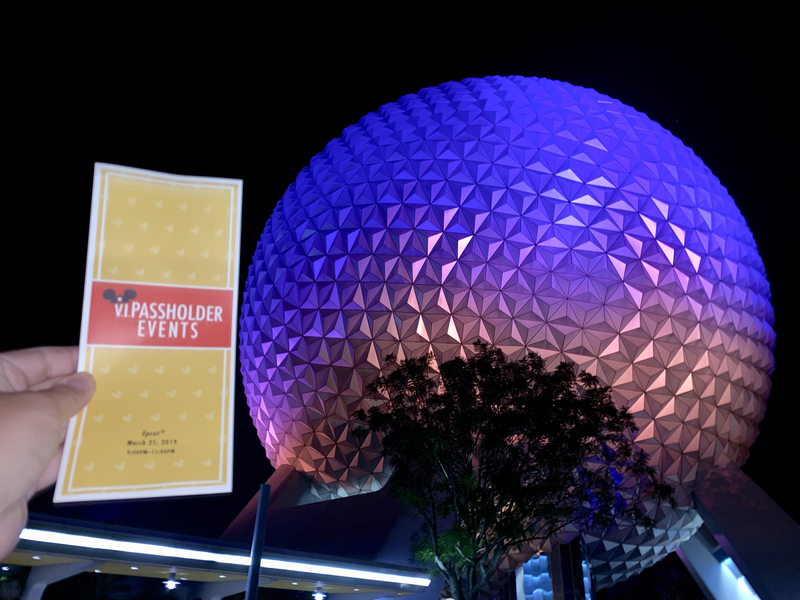 Upon verification, you will be provided a one-time use voucher to purchase the commemorative brick at either Tomorrowland Light & Power Co. (inside Magic Kingdom, valid park admission required) or Marketplace Co-Op (Disney Springs). Online or by phone: email Guest Relations or call (407)828-2701 with the name and hometown of the guest who sponsored the brick. 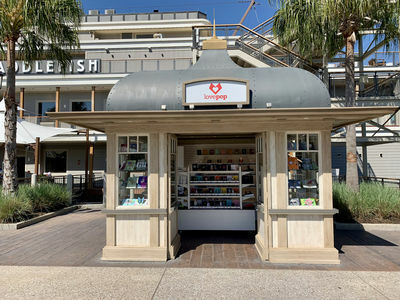 Upon verification, you will be provided a one-time use code to use by August 31 to purchase a commemorative brick on shopDisney.com (and it may not be redeemed in person or otherwise). 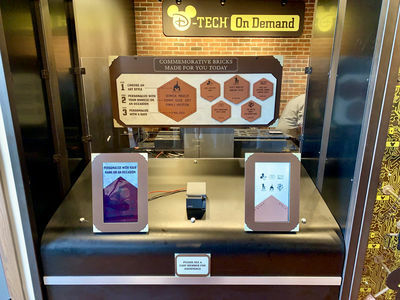 Having watched a friend go through the sponsorship verification process at a temporary Guest Services desk just outside D-Tech inside Marketplace Co-Op at Disney Springs, be aware that the cast member doing the verifying does not have access to the database showing more than information confirming the existence and sponsorship of the original brick. The verification process does not include information about the brick's original inscription or graphics, and, indeed, the on-demand process used to create the commemorative bricks does not include all of the graphics originally available on the bricks themselves. 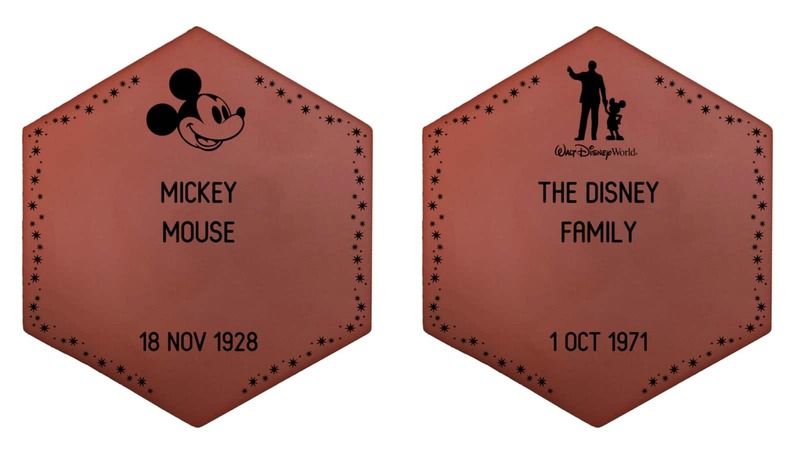 Some of the graphics available for the Commemorative Bricks are different from and there is a more limited selection than previously available on the bricks installed around Seven Seas Lagoon. Photo by Alan S. Dalinka. Without going through the verification process, anyone interested in purchasing a new commemorative brick can get one while supplies last for $29.99 (plus tax and, if applicable, shipping charges) at Tomorrowland Light & Power Co., Marketplace Co-Op, or later this spring at shopDisney.com. Disney will not be displaying the new commemorative bricks at the Resort. The reconstruction around the Magic Kingdom entrance comes nearly two years after the reconfiguration of Magic Kingdom Security that moved the screening location for many guests from in front of the park's gates to the TTC. 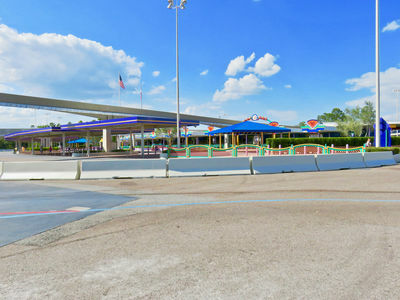 While Disney has not yet announced what specific changes are coming, it is likely that the former security stations in front of the park itself will be razed and the TTC's tram loading/unloading and security area will see renovations, as the area has had a very "temporary" look (featuring "hedge walls" and non-permanent tables, for example) since its current configuration two years ago. 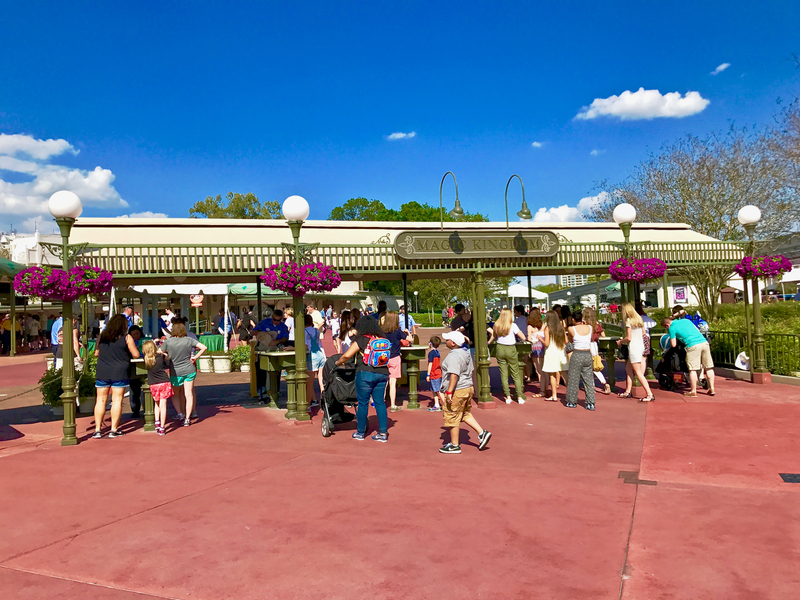 Magic Kingdom security stations outside the park's gates were used until April 2, 2017. 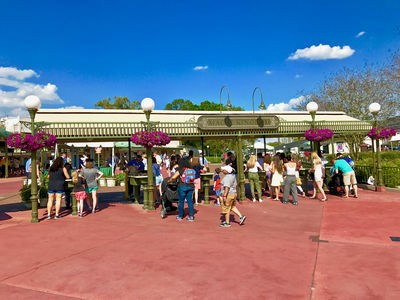 The security screening stations at Magic Kingdom's entry plaza ceased operation before the park opened April 3, 2017; the tables were removed at a later date, and it is likely that the upcoming removal of the Walk Around the World Bricks will result in the removal of the shade structures as well. In April 2017, the TTC tram load/unload area was moved to the former median of the tramway' where it has remained in operation unshaded. TTC security screening moved under the former tram stops' shelters in April 2017, with a rather "temporary" look including ropes, folding tables and hedge walls. The area where guests walk between the trams and security screening has been blocked off from tram traffic by plain temporary-looking concrete barricades since this photo was taken in March 2017. File Photos by Alan S. Dalinka from our Update for April 4-10, 2017.
exciting improvements are being made to how you come and go at all four Walt Disney World Resort theme parks. 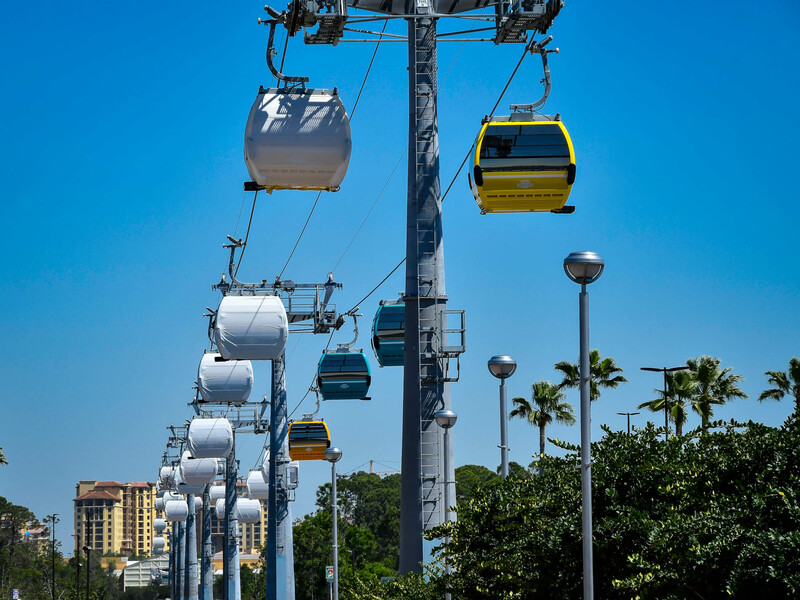 This includes reconfiguring walkways, and tram loading and unloading zones and more. We're also enhancing security by adding more bag screening stations, metal detectors and other measures to aid in the screening of guests. 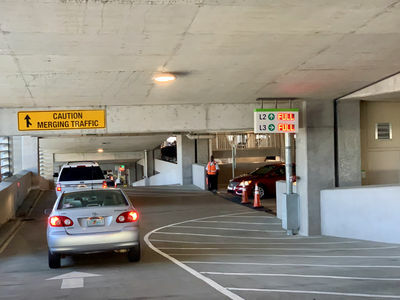 In coming weeks, we hope to find out whether the changes coming to the entrance experience at Magic Kingdom and Epcot will include an exit configuration for the Epcot monorail that allows guests arriving that way to enter that park without being re-screened. Currently, guests traveling from the TTC to Epcot by monorail have already been screened by security (at TTC, a Resort Monorail station, Magic Kingdom bus unloading area, pedestrian check-point near Disney's Contemporary Resort, or Magic Kingdom watercraft dock) before riding the monorail to Epcot, but are screened again because the monorail exit places arriving guests outside the screening checkpoints. 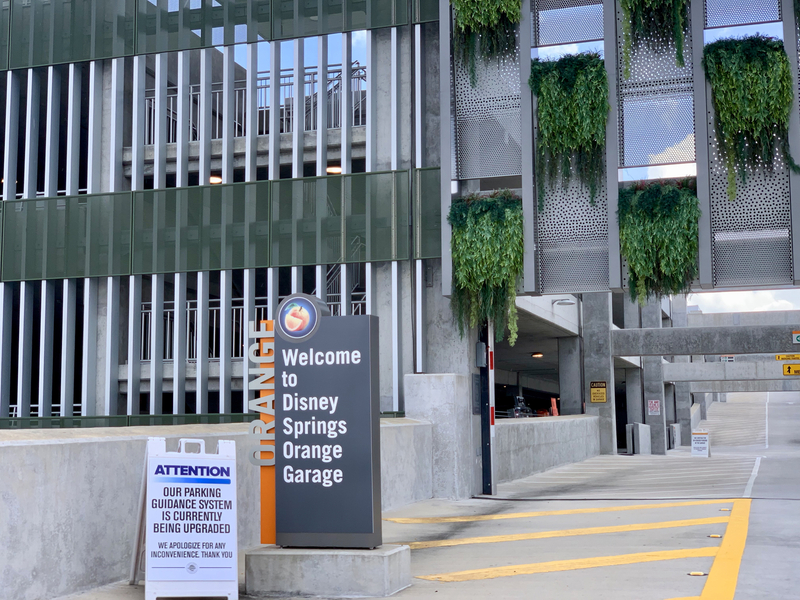 Disney's Hollywood Studios opened two additional bus loops near its main entrance this past week, and Disney Skyliner construction and testing continues. 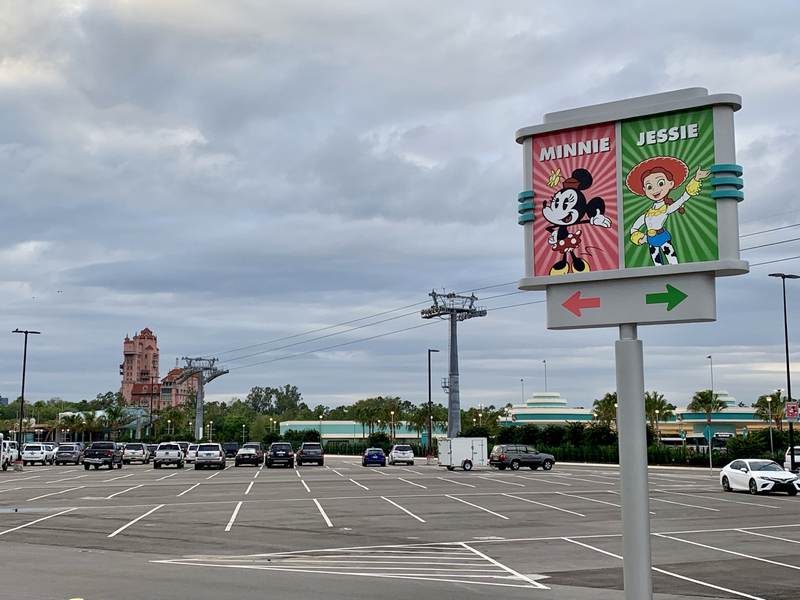 That park's new auto entrance and exit roads and toll plaza have been open for several months now, and this week the park officially renamed the sections of the lot for characters that can be encountered in the park: Mickey, Minnie, Jessie, Buzz, Olaf and BB-8. 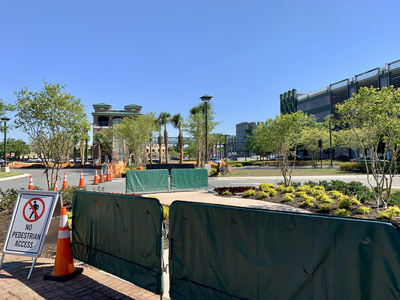 Construction on that park's tramway continues and no other details of that park's arrival experience have been announced. 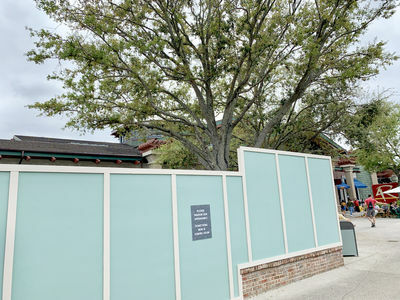 No details about changes to Disney's Animal Kingdom's entry experience have yet been revealed. 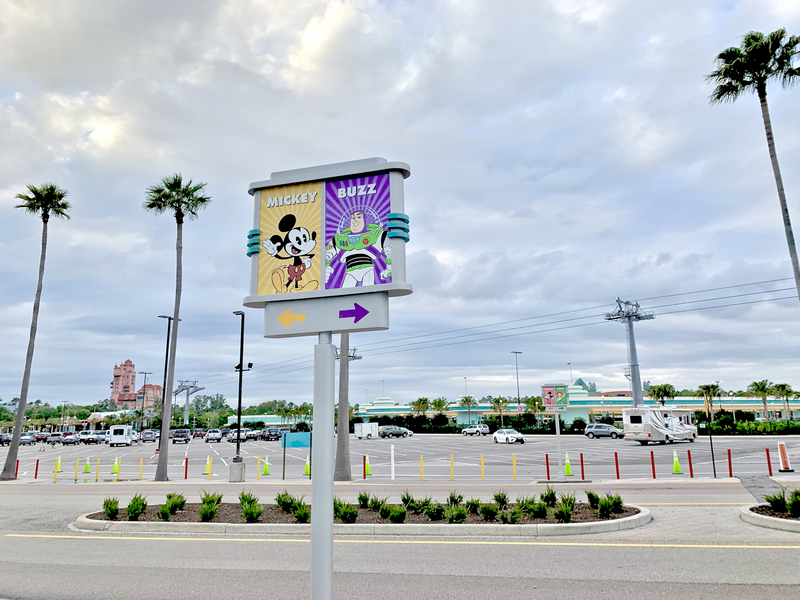 New parking lot signs have been installed at Disney's Hollywood Studios and new bus loops are now open. Photo by Alan S. Dalinka (additional photos below in the Views Around the World). 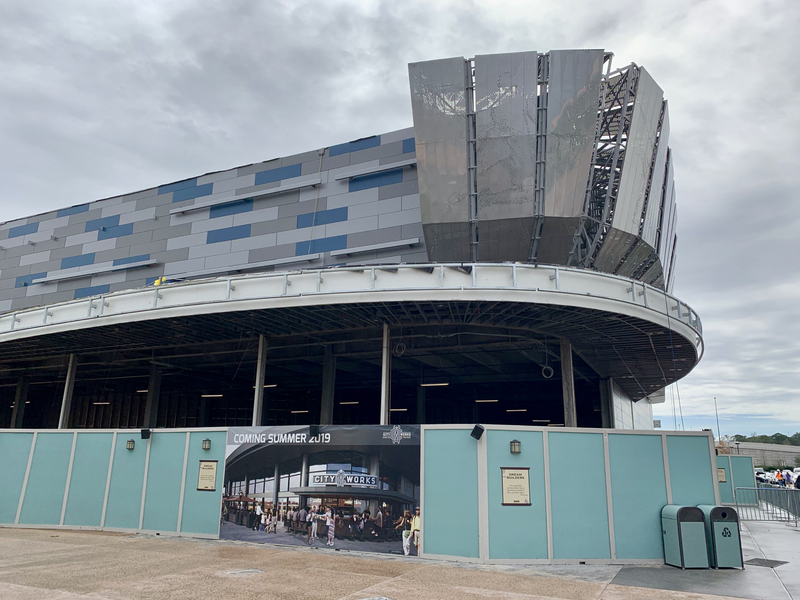 Disney's announcement did not mention whether City Works Eatery & Pour House will open at the same time as the NBA Experience. That new establishment will occupy the northwestern corner of the same building. City Works Eatery & Pour House will occupy the northwestern corner of the same building as the NBA Experience at Disney Springs West Side. File Photo by Alan S. Dalinka. Disney Parks Blog announced that The Land pavilion at Epcot will add a new film entitled Awesome Planet which it describes as "an on-screen exploration of the realm we call home, [that] showcases the spectacular beauty, diversity and dynamic story of our earth with all the grandeur guests have come to expect." The new presentation will combined nature photography, in-theater effects, and space sequences by Industrial Light & Magic (which, of course, Disney acquired when it purchased Lucasfilm, Ltd.). 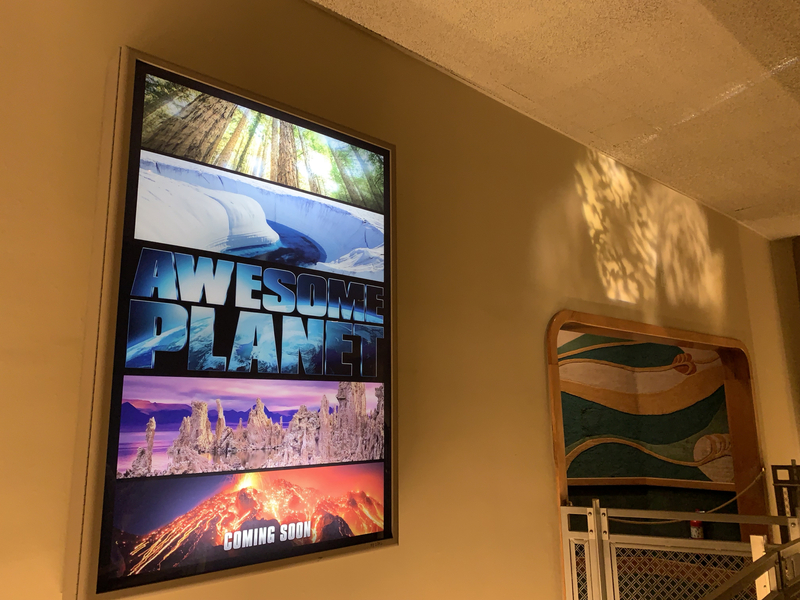 A new poster for "Awesome Planet" has been installed just outside the theater's pre-show area (famous for its wall-carpet) in The Land pavilion. Photo by Alan S. Dalinka. The new environmental message-centered film will take up the space previously used for the Lion King-themed Circle of Life: An Environmental Fable which closed just over a year ago, last February. 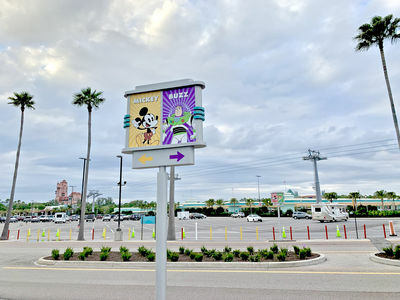 When that film closed, Disney announced that its theater would be repurposed and, in the time since, the space has been used for some Disney Vacation Club presentations and for other group events. Disney says that the new film, together with the new Circle-Vision film coming to the China pavilion, the update to the Circle-Vision film at Canada pavilion, and the new Beauty and the Beast Sing-Along "herald a bold new era for a theme park that is distinctly Disney in its view of the earth, its lands and its people." 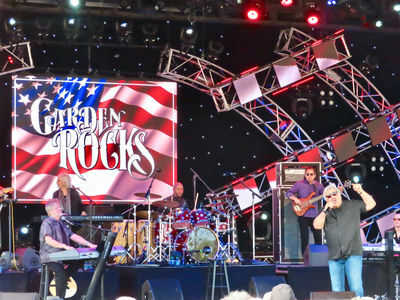 The Epcot International Flower & Garden Festival is underway featuring the Garden Rocks Concert Series on the America Gardens stage three times nightly through June 3. The concerts run seven nights a week for the length of the festival. Performers coming up on the schedule include Air Supply, Peabo Bryson, Eddie Palmieri, Dennis DeYoung (original member of STYX), Rick Springfield, Richard Marx and Starship, starring Mickey Thomas. Returning performers also include The Spinners and Herman's Hermits starring Peter Noone, and new to the Festival performers include TobyMac, Steven Curtis Chapman, Sister Sledge, and Colin Hay of Men at Work. For more information or for reserving dining packages with guaranteed concert seating, call (407) WDW-DINE or visit FreshEpcot.com. 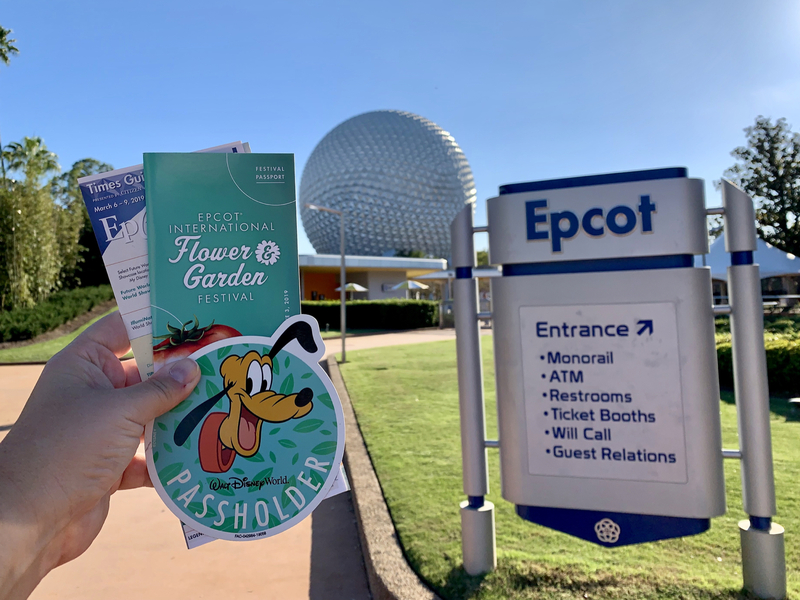 Passholders can save 10% on food and beverages (except alcohol and excluding tax and gratuity) on dining packages for themselves and up to three guests. 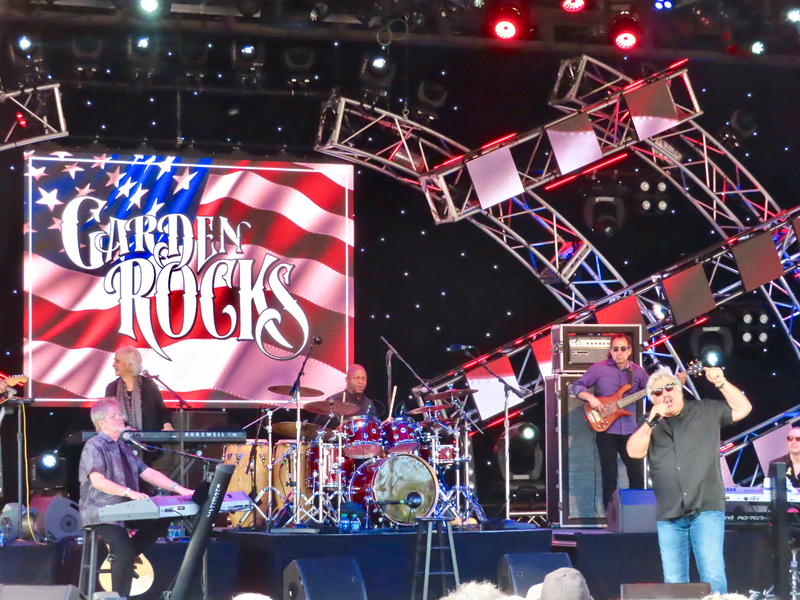 Tony Orlando and his band returned to Epcot earlier in March for Garden Rocks Concert Series shows at America Gardens Theatre. File Photo by Alan S. Dalinka. 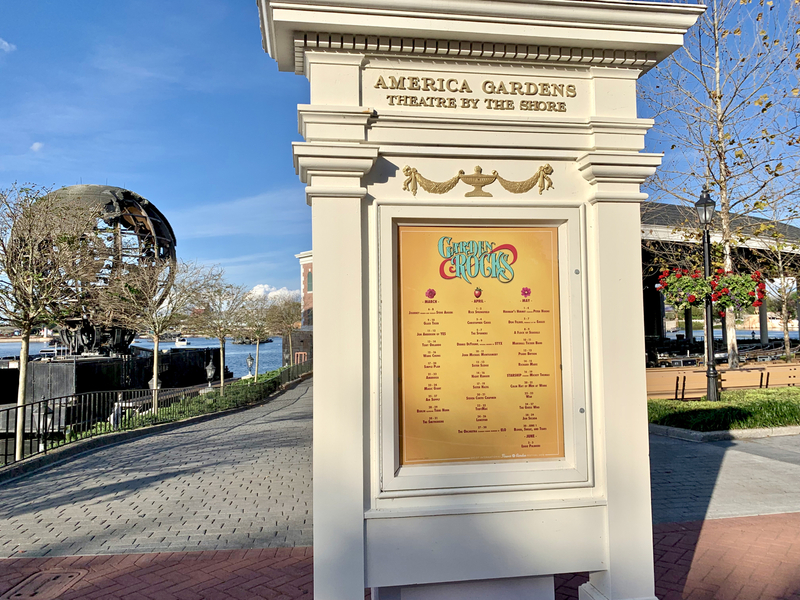 America Gardens Theatre is located on World Showcase Lagoon across from the entrance to The American Adventure. File Photo by Alan S. Dalinka. 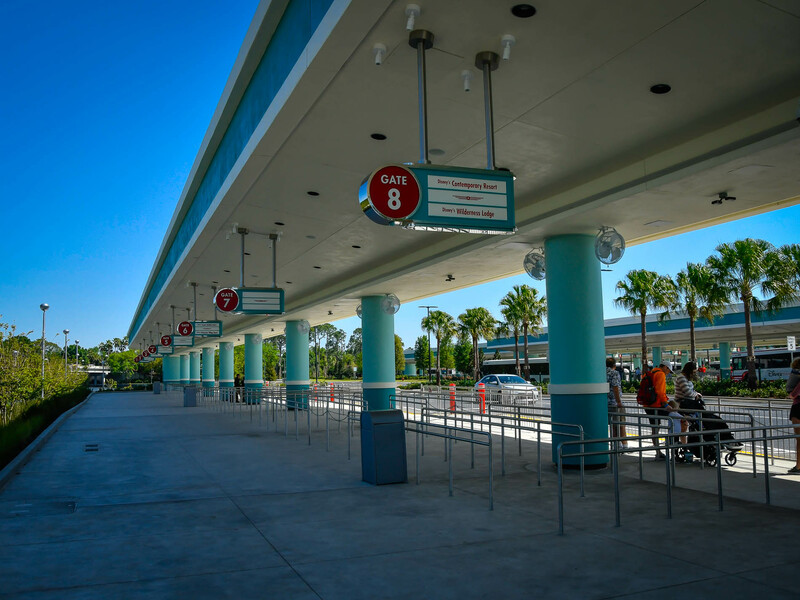 The new bus terminal at Disney's Hollywood Studios is open for business. Some of the Disney Skyliner gondolas have their protective covers removed on the line between Disney's Hollywood Studios and the station at Disney's Caribbean Beach Resort. A yellow colored Disney Skyliner gondola is seen above the new bus terminal at Disney's Hollywood Studios. 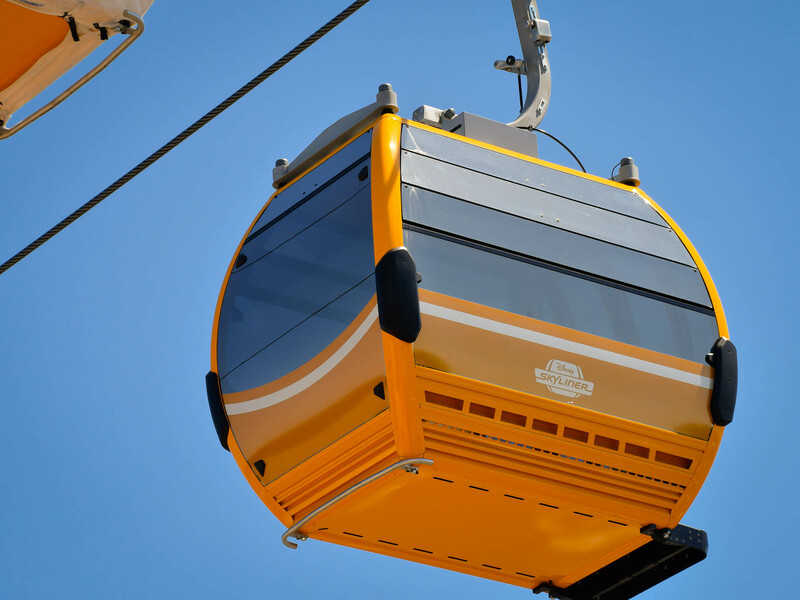 Of all the Disney Skyliner cars we saw today, none of them had character decals on them as we've seen in some of the concept drawings. We'll see if that feature is still yet to come. Photos and captions by Donald Fink. The sections of the parking lot are now named for characters that you can encounter in the park. Photo by Alan S. Dalinka. 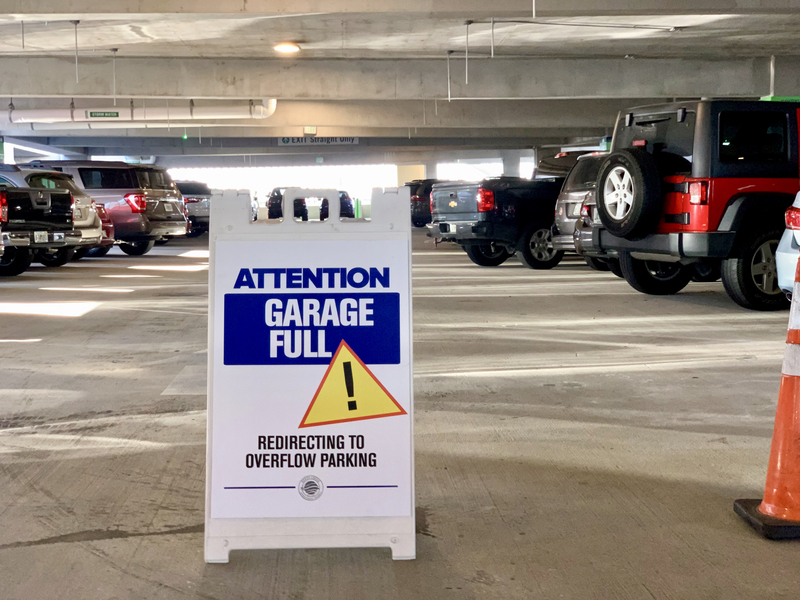 New signs have been installed in the parking lot corresponding to the new designations. Photo by Alan S. Dalinka. 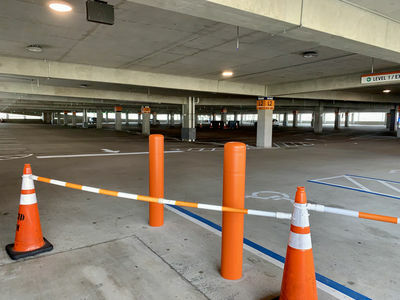 Disney Vacation Club Moonlight Magic at Disney's Hollywood Studios included rare character meet and greets, including some, like Darth Vader, that once were regularly offered at the park but are no longer available during regular park hours. Photos by Alan S. Dalinka. Sometime before Wednesday's DVC Moonlight Magic event, the sponsorship signage had been removed from the exterior (guitar pick) at Rock 'n' Roller Coaster. During the DVC Moonlight Magic event, with almost no one waiting in the queue for Tower of Terror, cast members allowed guests (including me) to get some unique views of the lobby of the Hollywood Tower Hotel. During the DVC Moonlight Magic event, guests were invited to autographic a piece of drywall that will be installed in DVC's next proposed property: Disney's Riviera Resort. 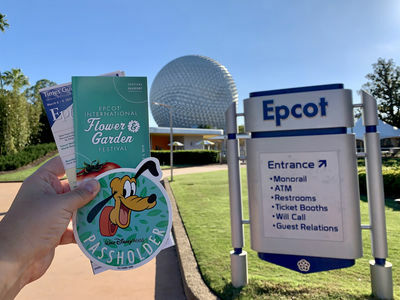 Annual Passholders that registered this winter were able to attend the V.I.Passholder Event at Epcot on Thursday night for two hours after the park closed to day guests. Registered Passholders attending V.I.Passholder Events must check in at designated locations at the park gates or in the park to get wristbands to visit attractions in the park during the additional two hours after the start of Illuminations: Reflections of Earth. 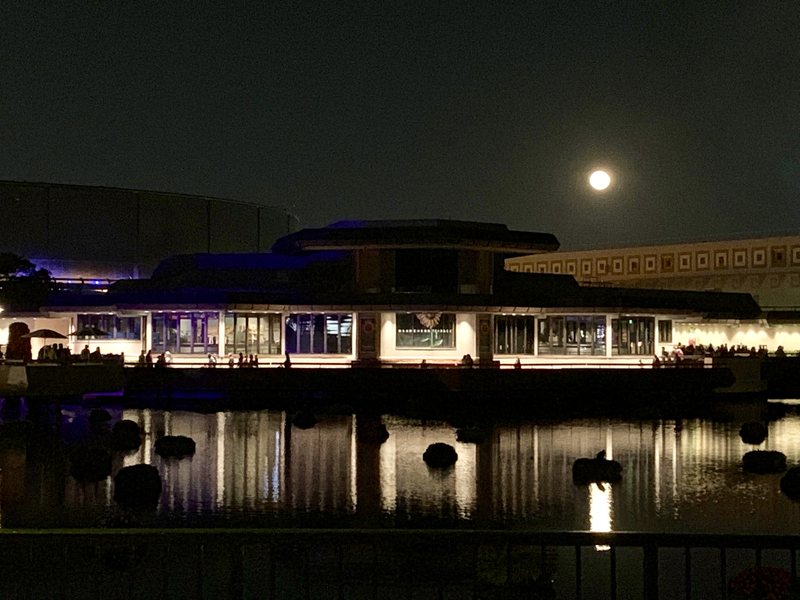 The V.I.Passholder Event at Epcot was one night after the final "Super Moon" of 2019, but the moon still was large in the sky over the Odyssey Building Festival Center. 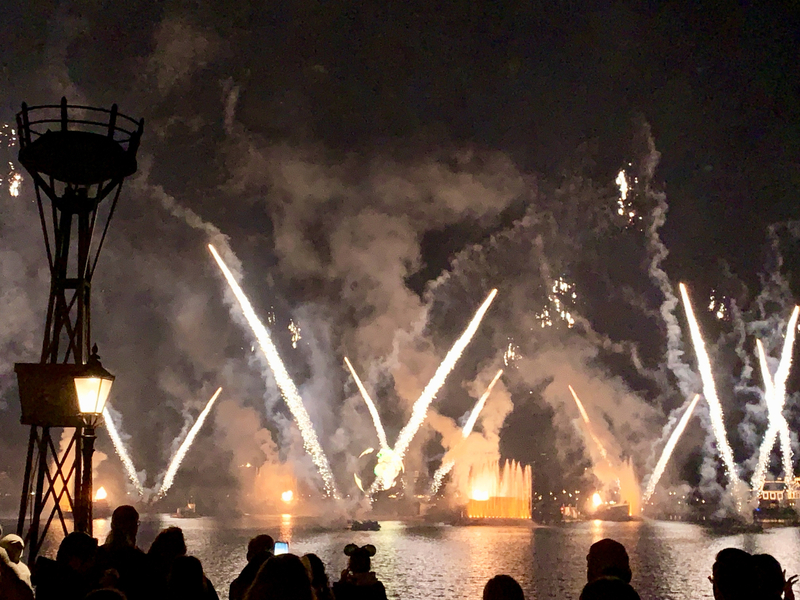 …With Epcot's Illuminations: Reflections of Earth glowing away by this fall (really, not like the Main Street Electrical Parade, the World Showcase Lagoon's infrastructure is being changed and this nighttime spectacular will not be coming back), Disney Parks Blog announced its next #DisneyParksLIVE broadcast will stream the show this Thursday night, March 28, starting at 8:55 p.m. Eastern. 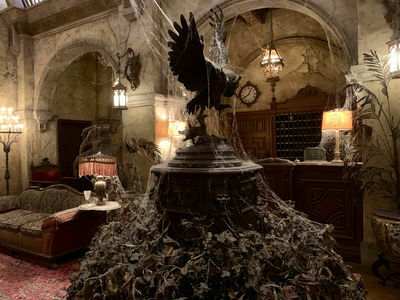 The broadcast also promises "an exciting 'look ahead' at the fun in store for Walt Disney World Resort guests in 2019." In the fall, Epcot will begin a new limited-time show named "Epcot Forever" featuring music from Epcot's history, and, at some as yet unspecified point in 2020, a new permanent nighttime spectacular is scheduled to debut. Illuminations: Reflections of Earth ends its nearly two decade-long run sometime this summer. Photo by Alan S. Dalinka. …shopDisney, the official Disney online shopping website is running a sweepstakes with a grand-prize of a five-day, four night Walt Disney World Resort vacation for four, including airfare and ground transportation (if the winner lives more than 250 miles away), five-day Park Hopper tickets with the "Plus Option," a VIP tour guide for up to eight consecutive hours, a $500 Disney Gift Card and more. 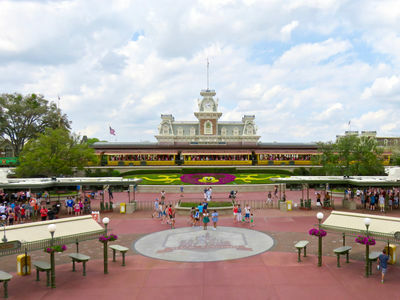 The sweepstakes and its details is on this page of Disney.com and legal residents of the 50 United States, District of Columbia, Puerto Rico and Canada (except Quebec and where prohibited) who are at least 18 years old can enter once per day. …Speaking of merchandise, for those looking for the latest Disney fashion, the new Briar Rose Gold Collection is set to debut at Walt Disney World Resort on April 1. The line takes its inspiration from Princess Aurora (Briar Rose) from Disney's Sleeping Beauty. The line will include ear headbands, Spirit Jerseys, and tumblers at merchandise locations around the Resort. Note, the original Rose Gold Minnie Mouse ear headbands are being discontinued at the end of March. Inside Disney Parks shows off the new Briar Rose Gold Collection ahead of its April 1 debut. Video ©Disney. …Conservation Station, including Rafiki's Planet Watch, the Affection Section and the Wildlife Express Train were closed last year at Disney's Animal Kingdom without a whole lot of notice or specific reasons given. 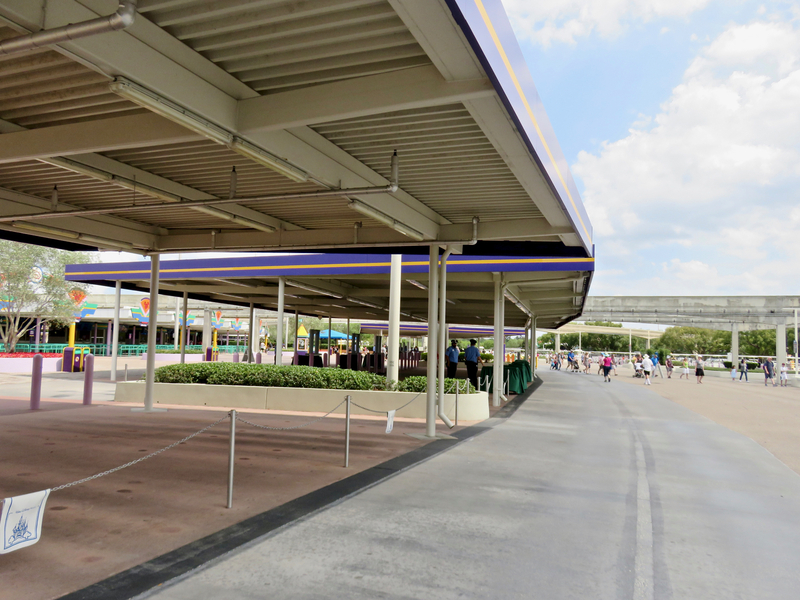 Not long after the closing, Disney said it expected to reopen the area in the Spring of this year. 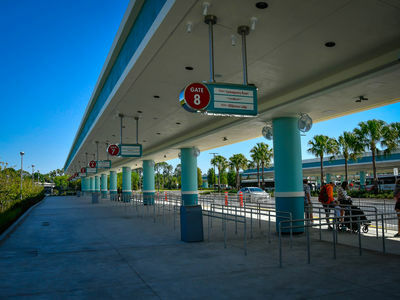 Last Tuesday, Disney Parks Blog announced that the area "will fully reopen this summer" and "will include a few new enhancements and join the celebration of all things The Lion King." No other details have yet been announced. 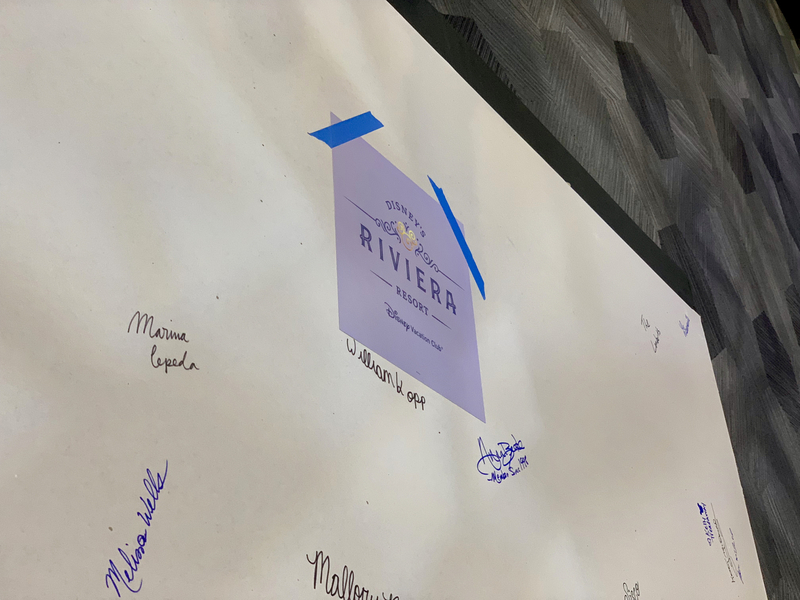 …Disney Parks Blog provides a look at some of the art and decor of Disney's Riviera Resort, due to open this fall and slated to become the 15th Disney Vacation Club property. For those considering a stay (or point purchase there when it becomes available), Disney describes it as a "European theme with a Disney twist!" More than 40 "signature art pieces" have also been created just for the resort featuring Disney characters. 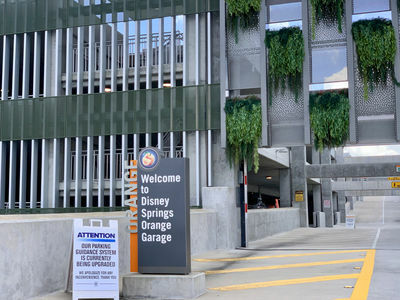 …Two days before Walt Disney World's August 29 opening of phase one of Star Wars: Galaxy's Edge, the book, Galaxy's Edge: Black Spire will be released with the "secret history" of this spot on far, far away Batuu, the planet on the "furthest possible frontier of the galactic map," where the new land is set. Read more about the new book on Disney Parks Blog and follow the links there to pre-order the book before its August 27 release and to the new Disney Parks Blog page where the editors have gathered together all of its latest Star Wars news. 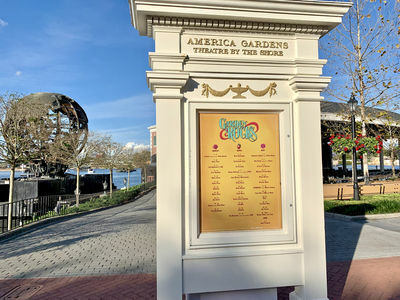 Dumbo opens at Disney Springs and theaters around the U.S. on March 29. Photo by Alan S. Dalinka. 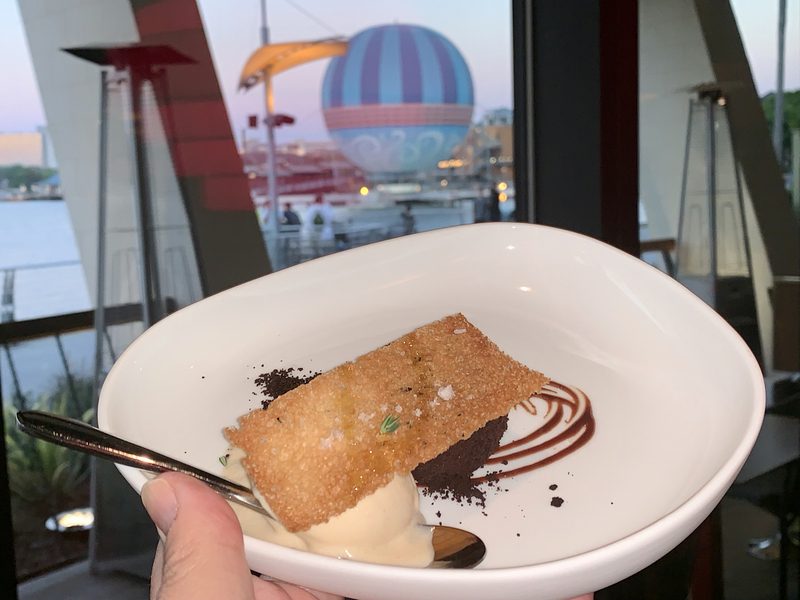 This past Wednesday, Chef José Andrés was on-hand for the grand opening of his ThinkFoodGroup's Grand Opening Party for its newest Jaleo restaurant at Disney Springs (which we attended as invited hosted media guests). 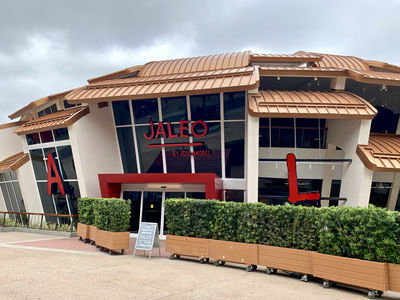 Located on the West Side of Disney Springs in a completely reimagined building previously occupied by Wolfgang Puck Grand Café, this is the largest Jaleo and the first of its five United States restaurants to be located in Florida. Its name means "revelry" and its menu features tapas that it says are "reflecting the rich regional diversity of traditional and contemporary Spanish cuisine, as well as sangrias and a premier selection of Spanish wines." The restaurant is open nightly for dinner and will add lunch service soon. Reservations are available by calling (321) 348-3211 and on OpenTable. 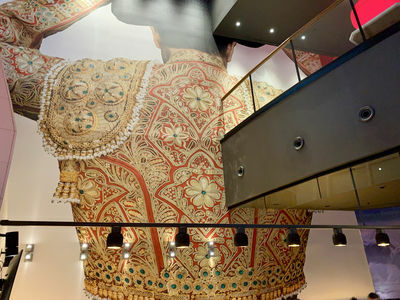 A two-floor tall matador towers over the bar in the restaurant. The Grand Opening party showcased foods, beverages, and the views of the new restaurant. 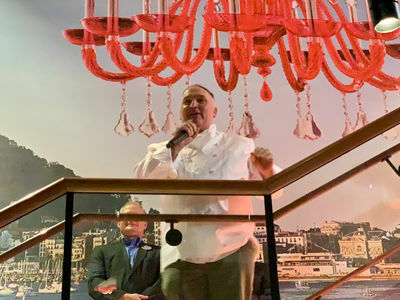 Chef José Andrés was on-hand for the grand opening party. At the Grand Opening party for Jaleo at Disney Springs, Chef Jose Andres discusses his lifelong dream of a Spanish restaurant in Florida. Hosted media. Video by Alan S Dalinka. Chef José Andrés says that it was his lifelong dream to open a Spanish-themed restaurant at Walt Disney World Resort. Video by Alan S. Dalinka. Spanish designer Juli Capella was responsible for the architectural form of the building housing both Jaleo and Pepe. 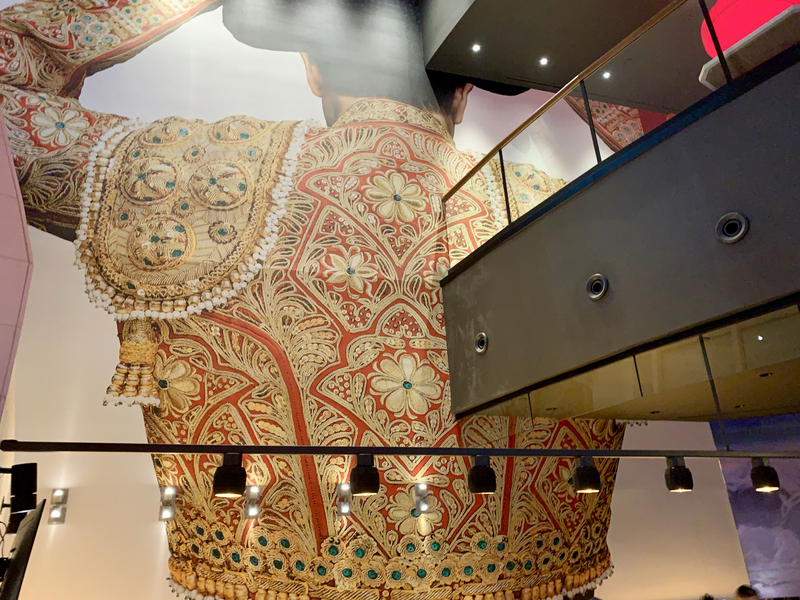 ThinkFoodGroup says the building's look is "inspired by the bold, playful nature of Spain featuring petals that organically open, inviting guests to enter and experience the very best of Spanish cuisine. The petals themselves form pergolas, which extend toward the outdoors, allowing light to flow in and out." File Photo by Alan S. Dalinka. These are some photo highlights of the Grand Opening party, including samples of the restaurant's food and beverages. Photos by Alan S. Dalinka. 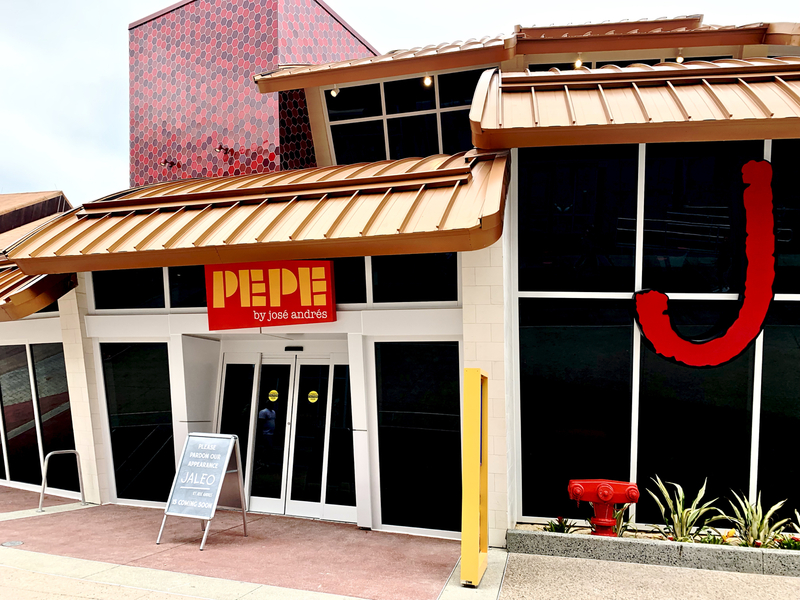 The new venue also includes a separate entrance for Pepe by José Andrés, the first brick and mortar location of the chef's Spanish food truck which has been serving Washington, D.C. for more than six years. This new quick-service location offers Spanish sandwiches or bocatas (both hot and cold), as well as gazpacho and salads to go. 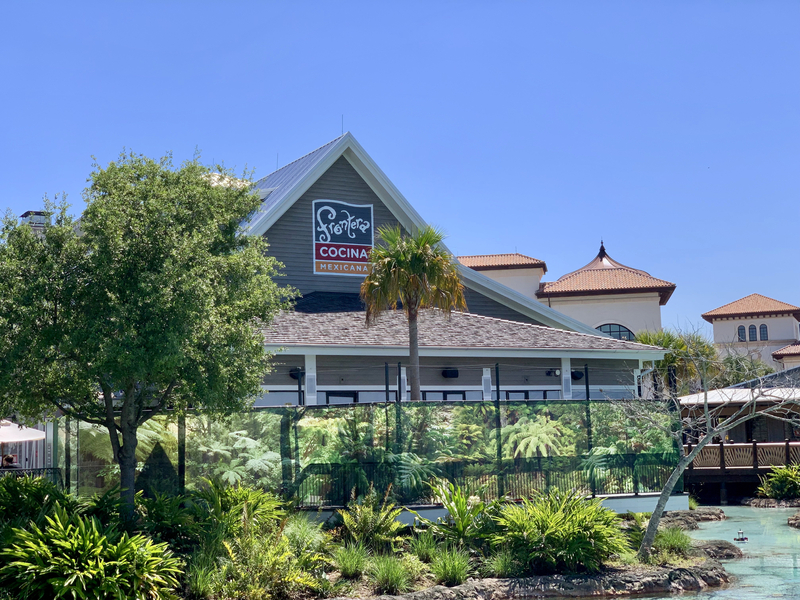 Spanish sangria (including sangria ice cubes to prevent the beverage from getting diluted by Central Florida's weather) is also available at the location which is now open for lunch and dinner. Pepe has a separate entrance to the left of the entrance for Jaleo. File Photo by Alan S. Dalinka. 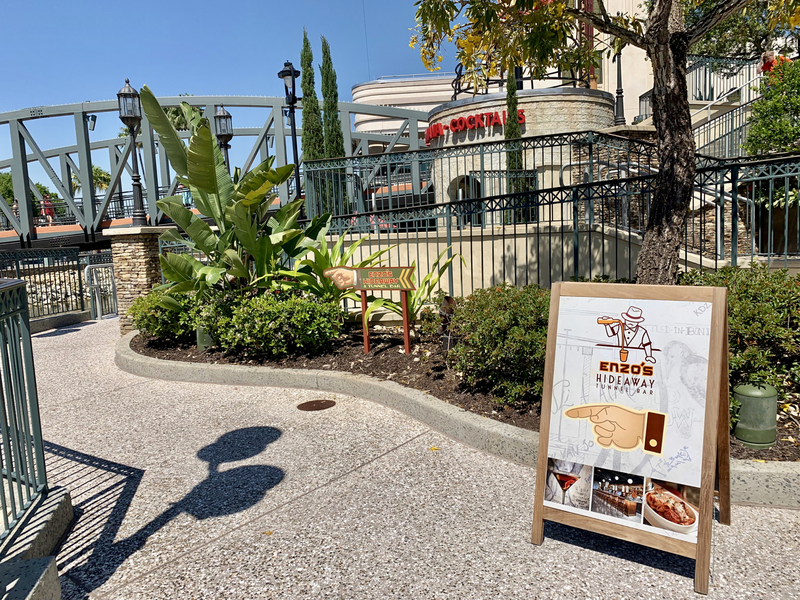 On Thursday, March 28, Paddlefish is celebrating National Food-On-A-Stick Day with a reception-style rooftop party on the 3rd deck. For $80/guest (including tax and gratuity but not EventBrite ticket fee), from 6:30 to 9:00 p.m. you can enjoy Lobster Corn Dogs, Chicken Satay with Peanut Sauce, Lamb Shish Kabob with Tzatziki, Steak Brocheta with Salsa Roja, and Shrimp & Scallop Spiedino with Lemon & Olive Oil. Tickets are available on this EventBrite page and all guests must be at least 21 years old to attend. 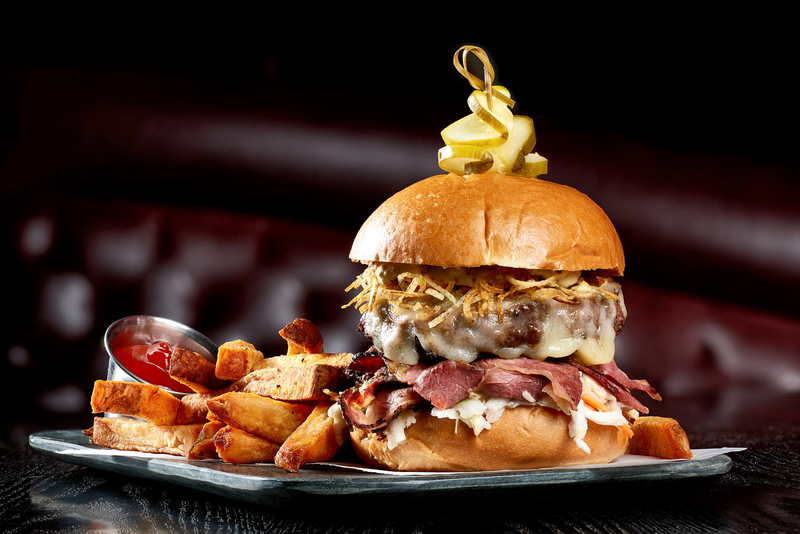 The Edison burger of the month for March is "The Luck of The Irish Burger," featuring the signature Edison blend of sirloin, short rib, and brisket topped with corned beef, coleslaw, crispy potatoes and whole grain mustard. The burger pairs with The Edison's March drink special, "Paddy’s Coffee," a spiked coffee with Bushmill Black Bush Irish Whiskey, St. George Nola Coffee Liqueur and Agave, chilled over iced then strained, served with Peruvian coffee beans smothered with dark chocolate. The Luck of The Irish Burger is The Edison's March Burger of the Month. Image courtesy Patina Restaurant Group. 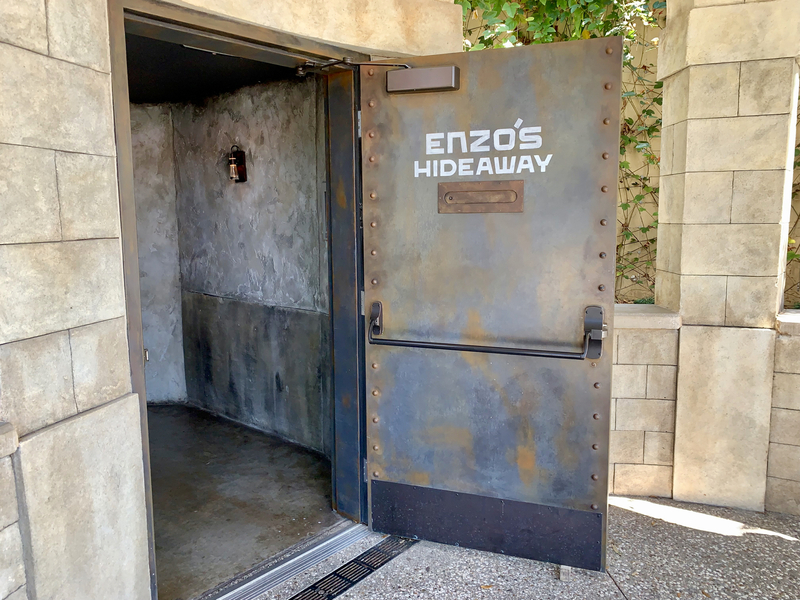 Dates and beverages for the Smuggler's Series at Enzo's Hideaway Tunnel Bar have been published through October and are below. 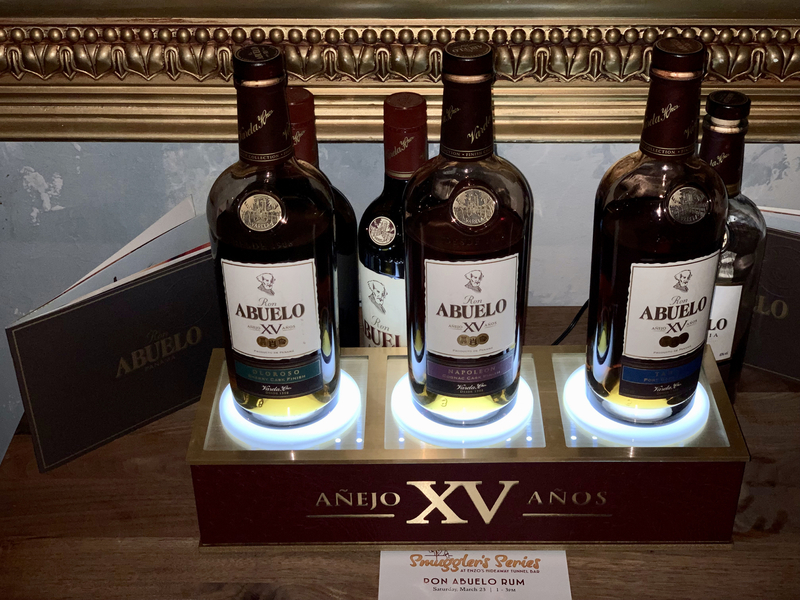 As we mentioned last week, we were invited to attend the March 23 event showcasing Ron Abuelo Rum which included four varieties of rum served in various presentations paired with a multi-course menu created by Chef John Miele. 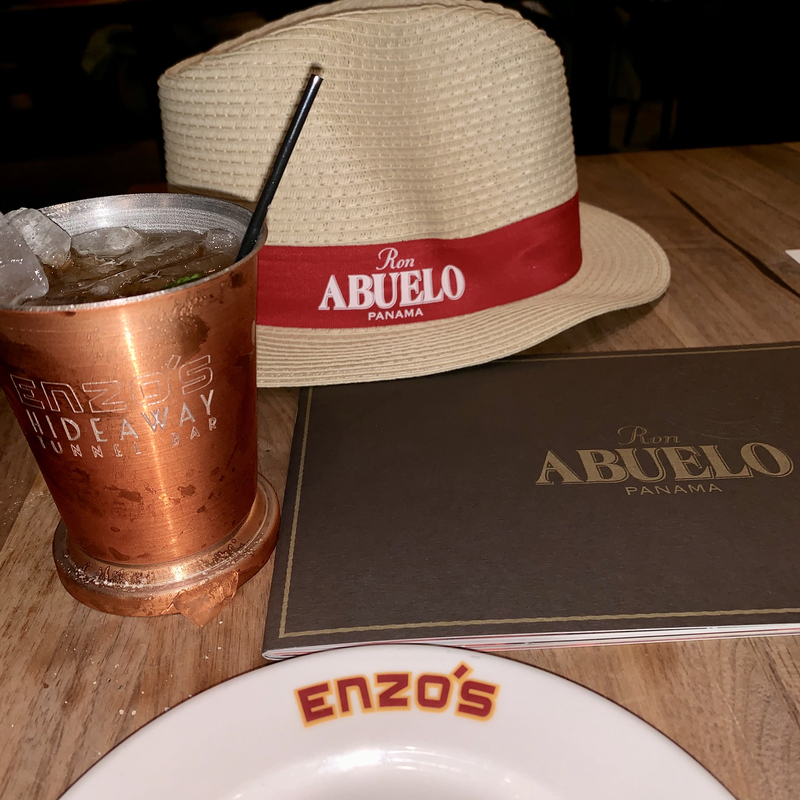 For those interested in learning a bit about the beverages they drink, these sessions can be quite informative and the restaurant's culinary team works hard to prepare dishes to compliment the beverages served. Enzo's Hideaway Tunnel Bar's Smuggler Series event for March featured Ron Abuelo Rum varietes served both straight and in cocktails. Photo by Alan S. Dalinka. Morimoto Asia in Disney Springs is hosting the Second Annual Sakura Festival through March 31, a celebration steeped in Japanese tradition and dedicated to the beauty of the cherry blossom. The restaurant is decorated with vibrant "Instagram-worthy" décor, showcasing the pink blooms of the Sakura. Similar to the festivals in Japan, guests can attend a series of ticketed events and enjoy menu specials inspired by the cherry blossom. There is one ticketed event remaining, with further information and tickets available on this page of Patina Restaurant Group's website. Matsuri Festival — on Sunday, March 31, from 11:30 a.m. to 3:30 p.m., the Sakura Festival’s grand finale ushers in spring with a family-friendly event featuring Pan-Asian street food stations, traditional Japanese carnival games, activities, origami and even personalized calligraphy artwork for guests to take home. Tickets are $45/ages 10-and-up; $17/ages 9-and-under, and are available on this page of Patina Restaurant Group's website along with the event's menu and games listing. Watch overhead signs on Buena Vista Drive to see which paraking locations may have available spaces. 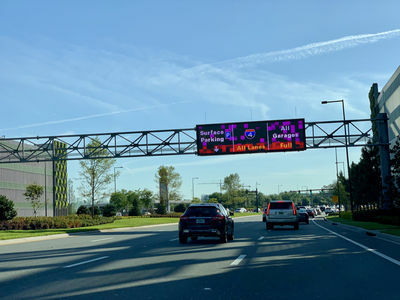 Photo by Alan S. Dalinka (pixilation caused by the difference between the sign's refresh rate and the camera; to the photographer's eyes, the sign did not pixilate in person). Photos (including File photos) by Alan S. Dalinka. 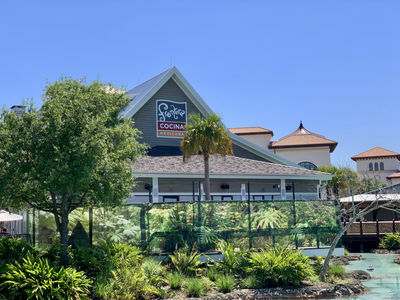 It appears that Frontera Cocina is expanding its outdoor dining area along the springs. Photo by Alan S. Dalinka. 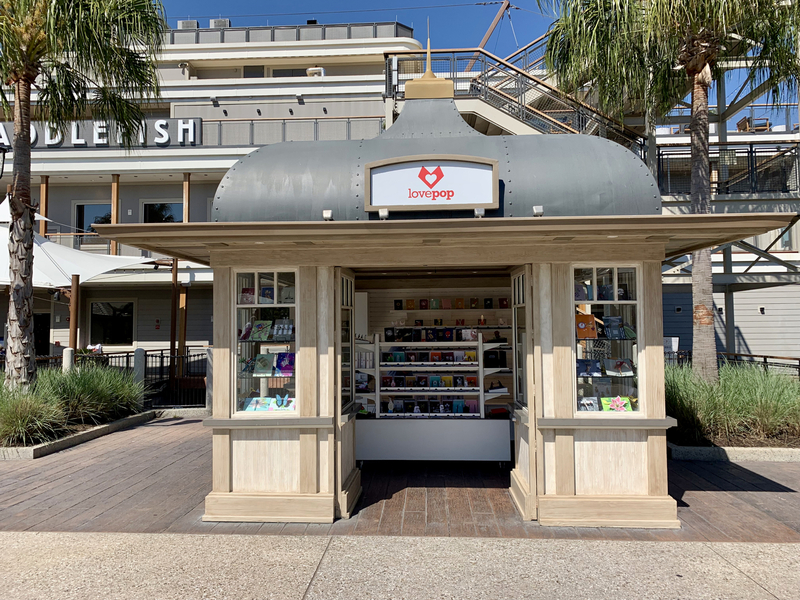 Love Pop has opened a larger location in the kiosk in the plaza in front of Paddlefish. It has closed its booth inside the Marketplace Co-Op. Photo by Alan S. Dalinka. March 28, April 4 & 11: event 10 p.m. – 1 a.m.
March 27: event 8:30 p.m. – 11:30 p.m.
April 3: event 8:30 p.m. – 11:30 p.m.